It doesn't take me long to bring out the big guns. I had a personal bet with myself for how long I could go without mentioning Le Metier de Beaute. Turns out, not very. 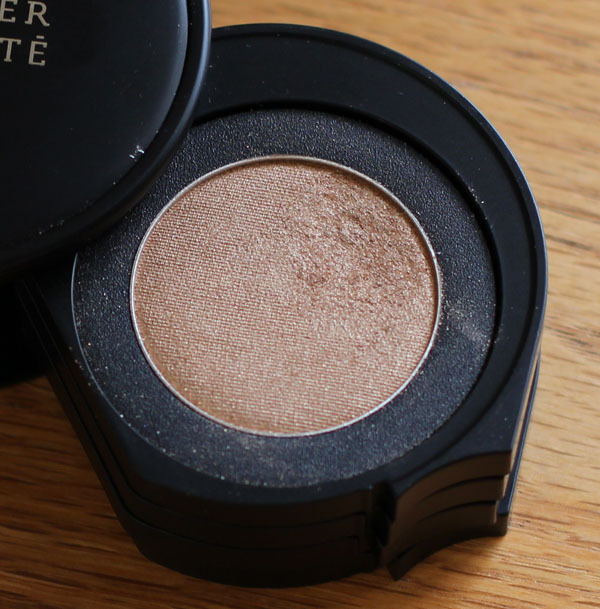 I was first introduced to Le Metier de Beaute through Cafe Makeup, who featured the Holiday 2010 Splendid Frost Kaleidoscope in this splendid post. Now, trust me when I say these babies sell themselves. The unique swivel pan design, the handy pop-up mirror (not pictured), the unexpected yet ingenious selection of colors that flatters, dare i say, every woman - not to mention, you have not touched a real eye shadow until you placed a finger on a LMdB pan. Combine those, and throw in Amy's photography, and us poor beauty-obsessed souls don't even stand a chance. When I came to New York for the summer, the first thing I did was visit Dustin Lujan at Bergdorf Goodman. I've read about him so much that I felt like I was meeting a celebrity (which in all fairness, I was). I'm pretty sure I spluttered and made a complete fool of myself on our first meeting. It is a testament to his incredible patience and niceness that he didn't immediately write me off as a lunatic. I now visit him once every week and he graciously gives me makeovers while I bombard him with questions about the line. I always walk out of Bergdorf's with a bag of goodies and a wide grin. Featured in this post is the Summer 2011 Penelope Kaleidoscope ($95). If you're new to the brand, the kaleidoscope is the perfect place to start. 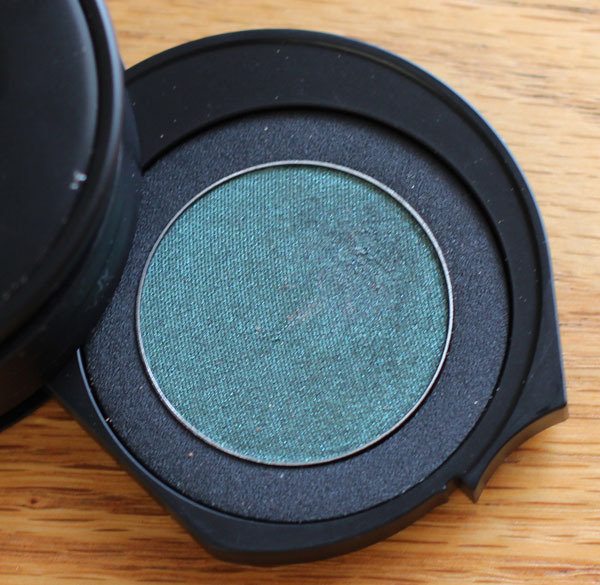 It's the easiest way to learn their signature couches de couleur technique, where you layer eyeshadows to achieve multi-dimensional color on your lids. 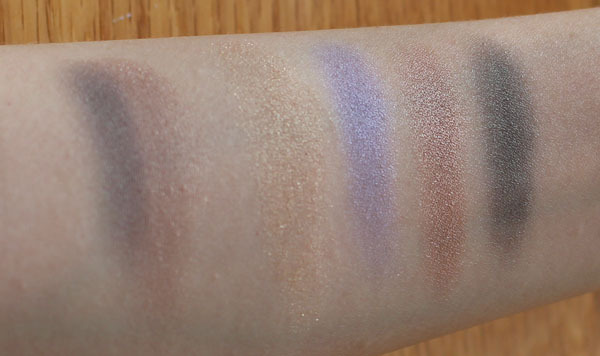 I say easiest because the four shadows are already picked out for you, and all you have to do is apply them onto your lid from top to bottom and you'll have a dreamy smokey eye. With Penelope, you can vary the intensity of your look by using the emerald green shade selectively. Omit it during the day for a neutral brown eye, layer it on at night to boost the flutter in your lashes. 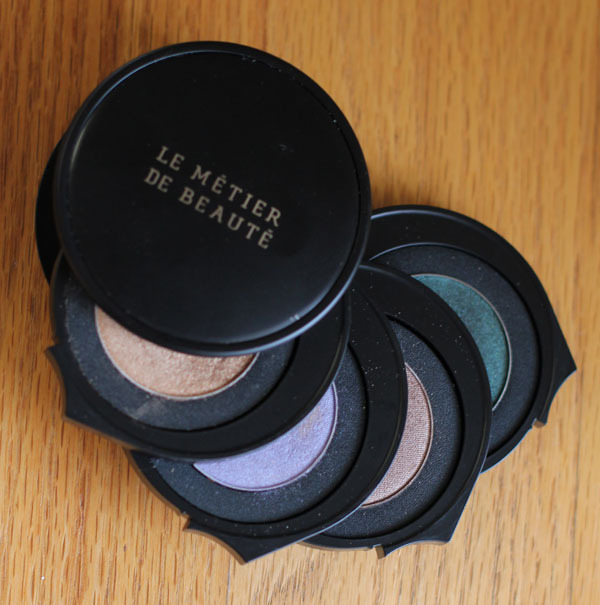 Le Metier de Beaute eyeshadows are soft, smooth, buttery, velvety, and intensely pigmented. 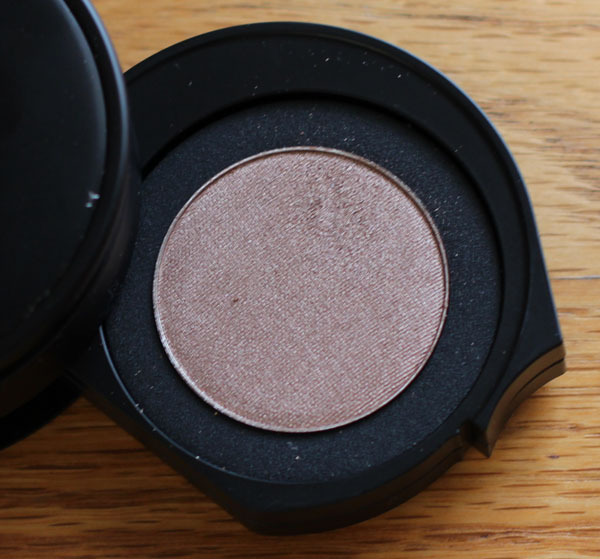 They easily sit and blend (but never overblend) on the lid. With these fool-proof kaleidoscopes, I shave precious minutes off my morning routine because all I have to do is pick up a brush and put it on. On especially groggy mornings, they are a godsend. I spent the majority of my Sunday taking pictures for a complete tutorial of the above look. I'll post it within the next few days, after I introduce some of the other items I used. I'm excited, and hope you look forward to it too! So pretty! Isn't Penelope fab? I don't think I've seen an un-fab kaleidoscope! Gorgeous look! Penelope looks incredible on you! I can't wait to see your tutorial. I wish I had time to do tutorials instead of just taking pics of my look before I leave for work in the morning. Maybe one day when the kids are a bit older ;-) I can hope! ugh i have been eying this product ever since i saw some beauty bloggers talk about it. so beautiful! this will be my first le metier de beaute purchase! thanks for sharing, your blog is lovely already! @kellyyes Welcome to Messy Wands and thank you for your kind words :) Trust me, Penelope (and LMdB) will change your beauty life! I love this kaleidoscope! It was my first LMdB purchase and certainly not my last! The looks that you can create seem endless! I love what you did here and can't wait for the tutorial! @Jill Isn't Penelope great? 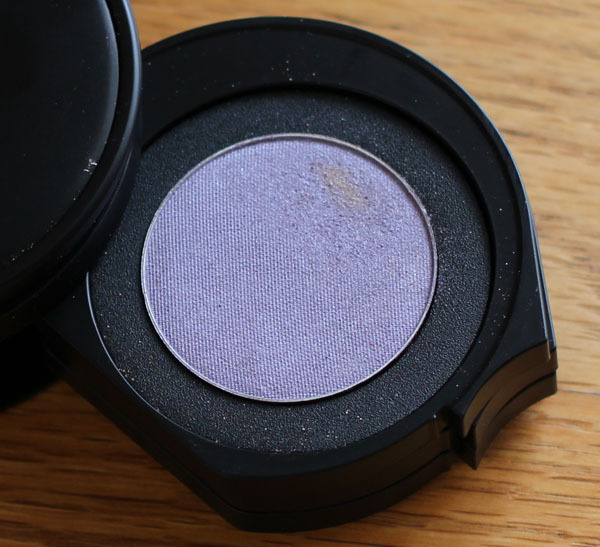 They're great basic colors too so it'll be easy to match it with the eye shadow singles. Thanks! I'm excited to post my first ever tutorial (soon)!